Flint Hills Writing Project is the only National Writing Project in the State of Kansas. This site provides professional development in the area of writing for K-16 educators in all content areas. Flint Hills Writing Project promotes and provides meaningful writing experiences for educators, students, families, and communities across Kansas. 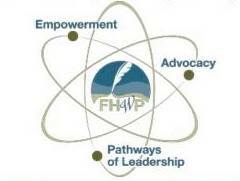 FHWP believes these experiences will arise out of opportunities to explore the power of the writing process.